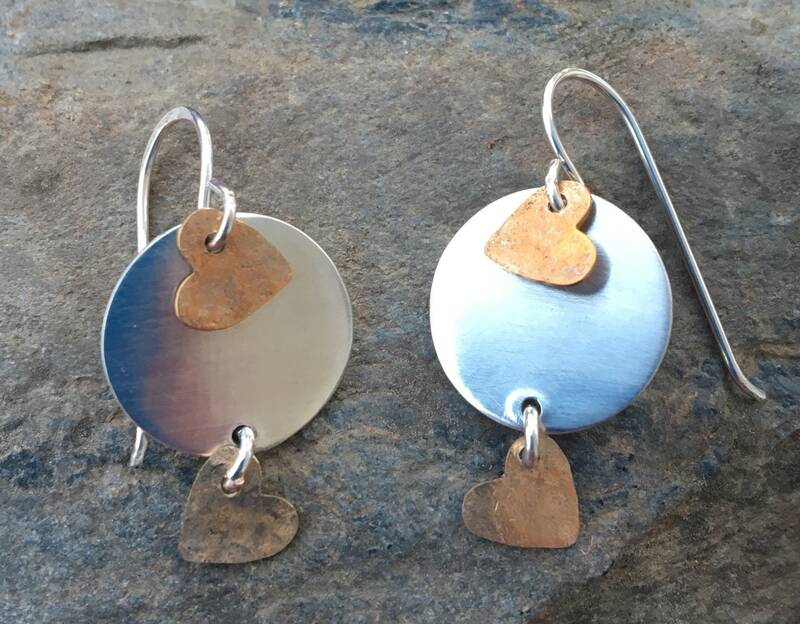 These make a perfect gift for Valentine’s Day! 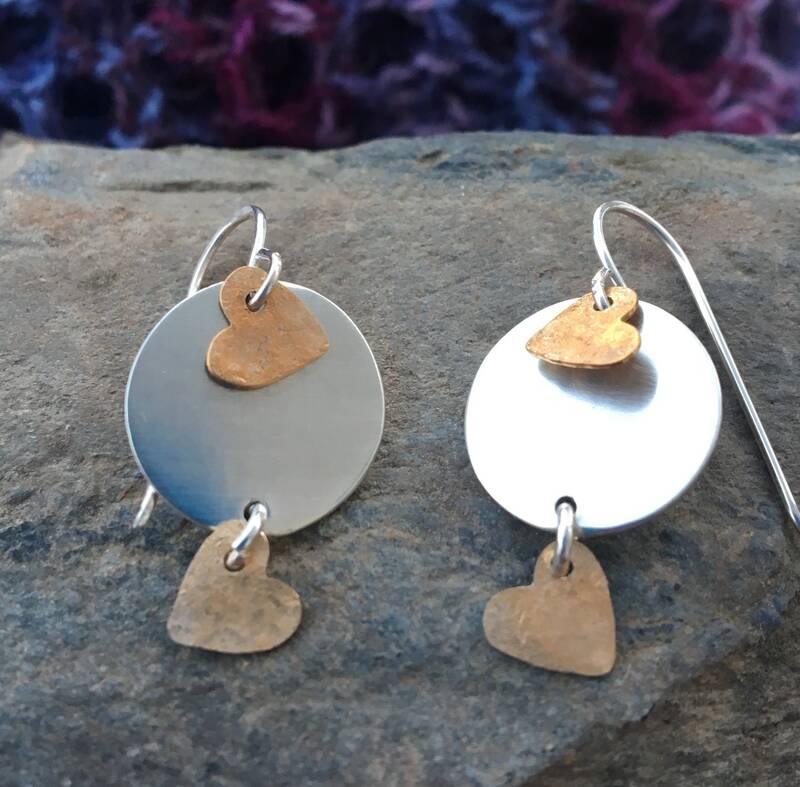 I hammered brass hearts 💕 and added them to a sterling silver disc. This disc has a fine brushed finish that I added. 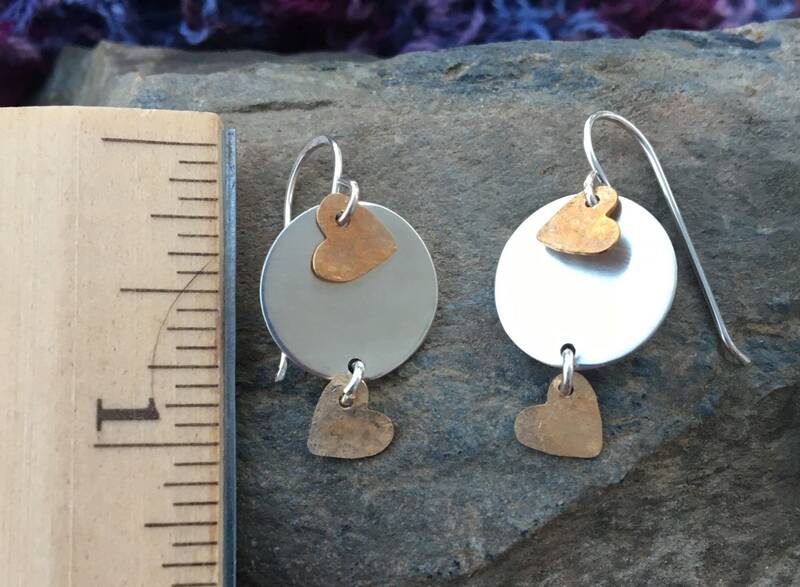 The sterling silver ear wires are hand crafted also.